For the Love of Green! Sweet and simple with an elegant border, these programs will impress your guests. This green wedding program from ForeverFiances is printed on our 100% recycled paper, because we love green and trees! ++ Matching menus cards, directions cards, place cards, and thank you cards are also available. 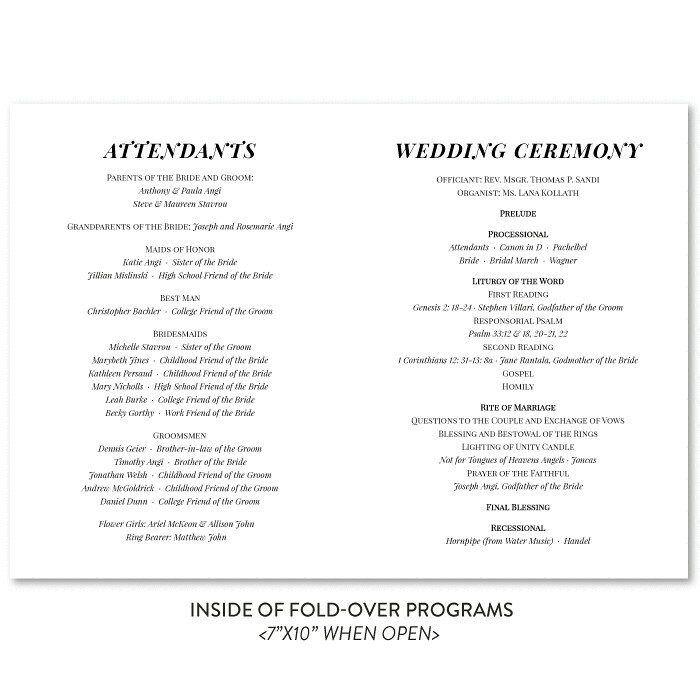 These wedding programs feature a fully customizable front and inside.